What Is Activated Charcoal and Why Is It Making It’s Way Into So Many Products? Does A Charcoal Toothpaste Replace Your Existing Toothpaste? Whitening your teeth can be a huge time consuming process. Let’s face it, committing 30 minutes every day to applying the strips to your teeth just to make your smile a few shades brighter may not work with everyone’s schedule. I don’t know about you, but at the end of the day, I am not worrying about whitening my teeth. Instead I am kicking off my shoes and having a drink from my favorite Argentinian Malbec. But when checking out YouTube the other day, I came across this new phenomenon on using charcoal to brush your teeth. To be quite honest, I thought it was just a joke or prank video. I mean come on, who is going to put charcoal in their mouth!? After all, this is nearly the same stuff that rests at the bottom of your grill in the back yard. Needless to say, I was going to move on but I succumbed to the click-bait and needed to find out more about charcoal toothpaste in order to see what the rage was all about (after all this video had over a million views – so it had to be good right?!). Well, alas, at the end of the video I quickly jumped over to Amazon and with a few clicks of the mouse had my activated charcoal toothpaste arrive in the mail. Even after watching a convincing video online, I was still a bit apprehensive about the whole thing. What would it taste like, is it going to stain, and most importantly is it going to work? 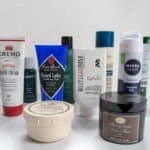 Well after much research and thorough reviews, we here at Tools of Men wanted to put together a complete and comprehensive review on just what truly is the best activated charcoal toothpaste or powder on the market. A quick search online and you will begin to see more and more products using activated charcoal as the leading active ingredient. Found in sponges, exfoliators, and more, this incredibly versatile ingredient is key to both skin and oral health. While it goes outside the scope of this post, activated charcoal has many antioxidant properties. When found in skin care products, this will help to not only block free radicals but can also reduce pore size, which will ultimately give your skin a much healthier glow and an even-toned complexion. 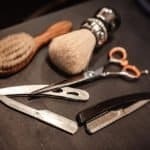 Therefore, if you are like many men who are ahead of the grooming curb, then these products may definitely be worth checking out. But the real reason why you are here, has to do with your mouth. Unlike so many other products and ingredients that just concentrate on one very small facet of a healthy smile, activated charcoal works your mouth on many different levels. First and foremost, activated charcoal will help to level out the pH balance within your mouth. At the end of the day, an overly acidic or basic pH balance may lead to an environment where bacteria can thrive. An overload of bacteria in your mouth can lead to many differing symptoms. First and foremost, the creation of plaque from the decaying food can be incredibly bad for many reasons. First, plaque will coat the surface of both your teeth and gums, which will ultimately lead to halitosis (i.e. bad breath). Secondly, plaque, if left alone for too long, will begin to harden and develop into tartar. Tartar if you aren’t already aware, is extremely hard to clean off your teeth at home. Therefore, your dentist will do the heavy lifting during your yearly dental cleanings with his or her specialized tools. But plaque on the other hand, is just a slimy film that can easily be removed via your toothbrush. The key here with activated charcoal and how it plays such a pivotal role in oral health is that it naturally absorbs plaque – giving your pearly whites a huge boost in cleanliness! Secondly, activated charcoal, given its natural consistency will do an incredibly good job at brightening your smile. While not nearly as effective as a standard white strip, activated charcoal will get you a few shades lighter in only a fraction of the time (i.e. 2 to 3 brushes). So, with all these benefits, surly you can pitch your existing toothpaste and go for this stuff now right?! You see, as good as activated charcoal is at removing plaque, preventing cavities, and brightening your smile, it just simply isn’t a daily toothpaste. 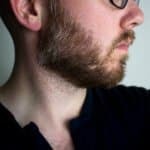 Some men have claimed that when trying to use an activated toothpaste on a daily basis (at least twice a day), their gums started to feel a bit raw. 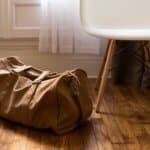 This irritation is a sign that your body just simply can’t tolerate it any more. Most manufacturers of these brand new activated charcoal toothpaste recommend that you don’t brush more than two or three times a week. Between using an activated charcoal toothpaste, you will simply want to use your existing toothpaste for a gentler cleansing. The tube version is akin to a standard toothpaste. Put about an almond sized amount on the end of your toothbrush and scrub for the time prescribed on the side of the tube – nothing new here. But the tub version may throw a few men off. Don’t worry – it’s not going to be that complicated of a process. Run your toothbrush under the water for several seconds to get the bristles both clean and fully wet. Tap out the excess water in the bristles. The goal here is to just make sure that the bristles are damp so the charcoal will latch on to the wet bristles. Simply dip the first ¼ or so of the head into the charcoal powder. Trust me when I say this guys – a little bit will go a very long way. Begin brushing as normal for the time recommended on the side of the container (usually a couple of minutes). Now there is one catch when it comes to charcoal toothpastes and that has to do with staining. But not the kind you would initially think. You see, when you put this stuff in your mouth it won’t necessarily stain your teeth, gums, or surrounding skin on your face. Although your entire mouth will become black. Note: If you have dental work such as veneers, crowns, etc. be sure to consult with your family dentist. We didn’t have dental work on our teeth to test this against and don’t want to cause any issues for our readers. Some activated charcoal powders and pastes do say they work on crowns. But there have been some reports from users that this stuff may cause staining of grout, porcelain, or other fixtures that are normally found in the bathroom (personally we didn’t experience this issue). Therefore, for some men who like to be extremely cautious, we would recommend that you put down some paper towels into your sink or be sure that you spit into a glass cup once you are done brushing. This will allow you to safely dispose the product directly down the drain with little chance of incidental staining. Fortunately, there have been some research done on this so we didn’t feel like guinea pigs when testing even the best charcoal toothpastes out there. Activated charcoal is naturally found as being a primary filtering material for water filters. Therefore, this stuff shouldn’t do any harm when accidentally ingested into your body (now I am sure if you swallow a gallon of this stuff it might not be good for you). 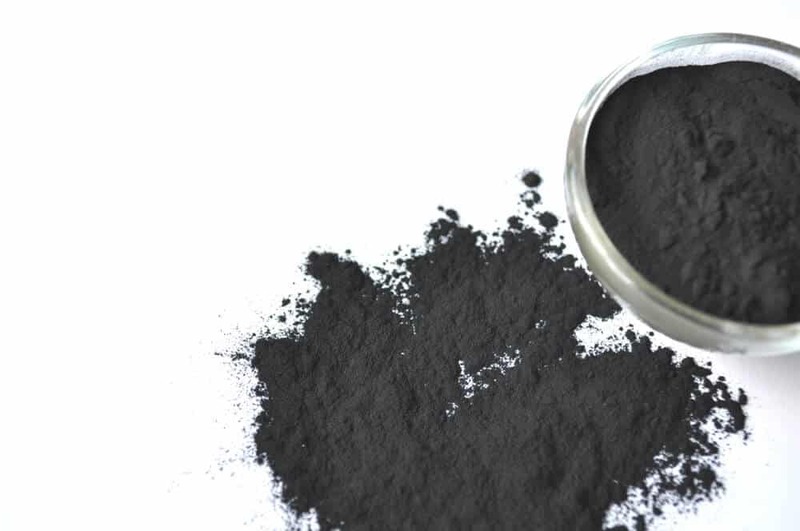 Being that charcoal is an natural antioxidant, its often mentioned on several wellness sites that it can be used as a home remedy, when in a pinch, should there be an accidental ingestion of poison or other toxic material per WebMD. Charcoal when ingested, doesn’t get absorbed into the body, instead it goes along the GI tract and picks up the nasty toxins along the way. To further validate its safety, activated charcoal is available in capsule form for those out there that are looking to ease their digestion and ultimately bind up the gunk along the intestines when making its way through your system. In addition, some nutritionists will add a few scoops into a glass of water as part of a detox regimen. Selecting the best activated charcoal toothpaste in 2019 isn’t easy. With so many options available just a few clicks away, it’s incredibly hard to navigate through all the junk. However, after several hours of research, reading reviews, forums, and more – we are confident in the list we provided above. Now if you feel like we should take a look at a few other brands – drop us a line in the comment section below and let us know what you think! While you may have qualms about using a product by a company called BlackMagic, rest assured, there is no special juju going on behind the scenes that will brighten your teeth. 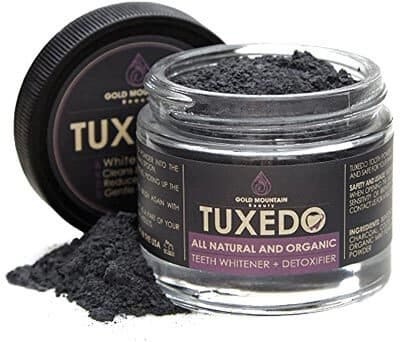 Instead, this product relies on a mix of natural ingredients, with activated charcoal being the main culprit to a brighter and more radiant looking smile. Infused with wintergreen and spearmint essential oils, this toothpaste will deliver a lovely post-breath that will smell incredibly fresh. Unlike other toothpastes that were made overseas, for the patriotic men out there, you will be excited to see that this product has been proudly made in the USA. Given the strict labeling guidelines for USA based products, you will know what’s on the side of the package will be what you are putting on the end of your toothbrush. One feature that we haven’t talked about in many of the other product reviews, is if the toothpaste is compatible with dental work. Of all the brands, this offering by BlackMagic will be compatible both dentures and crowns. 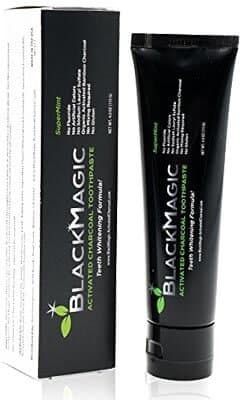 Secondly, unlike the Active Wow charcoal powder, the BlackMagic charcoal toothpaste has the same properties as a standard toothpaste that you are so accustomed to using. This means that you shouldn’t have to worry about a messy clean-up process after each use. However, given the inclusion of coconut oil, this paste does tend to be a bit runny/watery. Some folks have tried to resolve this watery problem by simply sticking the toothpaste into their freezer for about a half-hour to thicken the solution. While this may be a bit overkill for some, it’s at least one quick remedy to this problem should you be looking for a thicker paste. What’s so great about this charcoal toothpaste compared to others on this list? 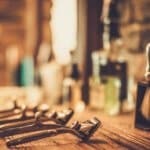 Mostly it boils down to its unique blend of ingredients, including coconut charcoal, bentonite, orange seed oil, sodium biocarbonate, coconut oil, and mint flavor will be a product that fully relies on all natural products to get the job done. A fan of men’s blogs everywhere that look for natural products, the Active Wow activated charcoal powder is a terrific way to brighten your smile. Through its unique composition, the main ingredients build upon the next in order to drastically remove stains from your teeth. While we have expanded on all the benefits of activated charcoal above, ingredients like bentonite will help to remineralize your teeth – ultimately helping to reduce the prevalence of cavities (source). 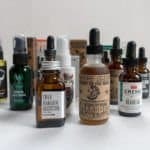 Secondly, orange seed oil, a natural essential oil found in a plethora of products including beard oil, shaving creams, and more, also acts as a natural antiseptic – which will be key in freshening your breath. Oh, and did we mention that orange seed oil also will help to deliver teeth whitening properties as well? When using this product for the first time, you may be slightly thrown off by the application process – not to worry. Given that this is a powder rather than a toothpaste, you will need to exercise caution to ensure that you don’t cause a mess on your bathroom sink when opening the jar. To use this product, you will simply want to soak your toothbrush (shake off excess water) and then simply dip just about the first ¼ of the bristles into the powder. Given the high concentration of this product, you don’t need a whole lot in order to get the job done. Then just simply insert into your mouth and brush as normal for a couple of minutes. A word to the wise: don’t use this product with an electric toothbrush. Doing so may cause a lengthy cleanup process in and around the sink area. 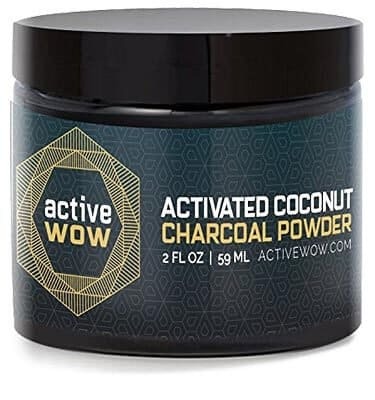 As you likely may have inferred from above when we listed off the ingredients, this charcoal powder from Active Wow has been infused with a mint flavor. 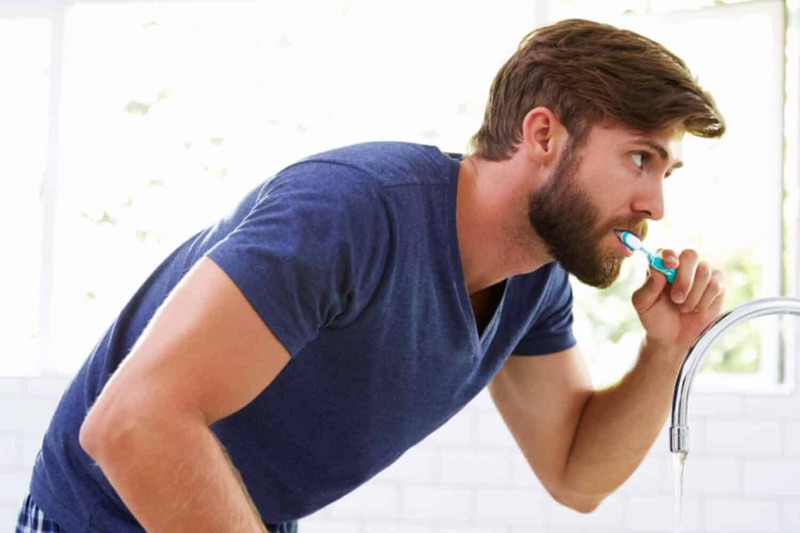 While not the strongest, especially when compared to a standard toothpaste, you will notice a subtle mint taste when brushing. Overall, this product from Active Wow is terrific at delivering a brighter smile. 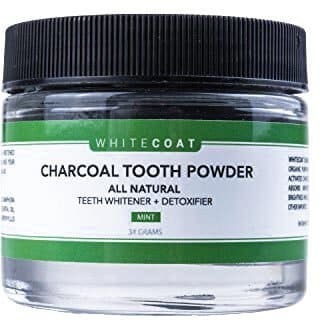 With a ton of actual pictures of before/after shots of men’s teeth (linked below), you will see why so many men and women are relying on this incredible activated charcoal whitening powder – it simply works. If you want the raw and unfiltered ingredient that is used as the active ingredient in all the other products, then this is it. All this product contains is just the activated charcoal – which has been 100% sourced from eastern America hardwood trees. It’s food grade milling process is perfect for several scenarios. While effective as a teeth whitener, this product can be included into your favorite drink to produce a detoxifying effect or you can apply it to your skin for cleansing purposes. While not too terribly grainy nor overly smooth, the activated charcoal will be effective no matter the occasion. By and far one of the most cost effective products on the list, this activated charcoal should last you an incredibly long time given its lofty 8oz size. A rich mixture of both natural and organic ingredients, this activated charcoal power by Rocky Mountain Essentials will be perfect for getting a few shades brighter with your smile. Contained within the stout 32g jar, you will have about 3 months’ worth of charcoal powder at your disposal. Like other powders, application is simple yet effective – dampen toothbrush and brush like you normally would for a few minutes. 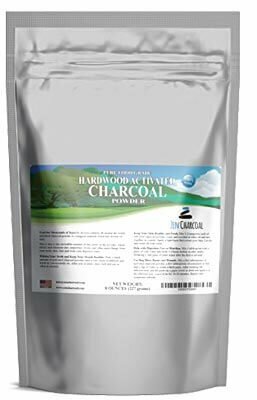 While any product might clamor that its natural and organic, this activated charcoal powder by Rocky Mountain Essentials was crafted here in the USA. Therefore, there should be little doubt on what is inside the jar. For the men out there that want to feel like you are brushing with something other than charcoal, Rocky Mountain Essentials smartly included an organic mint powder in this product. While not nearly as strong as your standard mint-infused toothpaste that you may have been previously using, the flavor will be much more toned down and not pack nearly as strong of a punch. While we can’t speak from first-hand experience, men who have used this activated charcoal powder have claimed that the product plays nice with both sensitive teeth and gums. Secondly, men who have used this product on dental work including crowns and dentures have had little issues regarding stains. 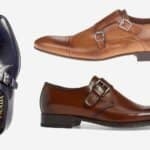 Given it’s higher than average price point, this product isn’t for the budget conscious men out there. 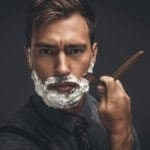 However, with the inclusion of natural and organic ingredients, some men may have no qualms about paying a few extra dollars for additional peace of mind. Overall, a terrific powder for your mouth. Whenever you flip over this tube of active charcoal toothpaste, you are likely going to be wondering to yourself ‘what the heck am I getting myself into’, but not for the obvious reason that its charcoal toothpaste – but that all the writing on the packaging is in Thai. So, unless you lived in Bangkok for several years, good luck trying to translate the directions for this toothpaste. But alas – when heading over to their detailed product listing (linked below), you can see that they have answered already over 100 questions about the product and whatever folks be wondering about the paste. What makes the Twin Lotus Active Charcoal toothpaste so special? First and foremost, it hits all the right notes when it comes to effectiveness. 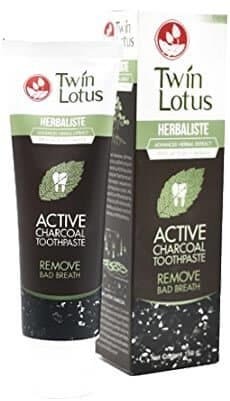 As we outlined above, a quality activated charcoal toothpaste will remove plaque, kill bacteria, whiten teeth, and ultimately remove bad breath – this toothpaste from Twin Lotus checks all the boxes incredibly well. As evident on the user review page, many of the people of varying ages and genders showed a marked improvement in a brighter smile. So, if that’s critical to you when trying to decide on the best activated charcoal toothpaste – then this one is definitely worth considering. Beyond the brightness of your post-use smile, the Twin Lotus paste also works well for those who have terribly sensitive teeth and gums. With little in the way of user feedback on any pronounced irritation with continued use. Now if there was one complaint around this particular paste, it would have to deal with the taste. A dominant clove flavor from the onset may be a turn off for many men. Competing head-to-head with the Active Wow charcoal powder, this offering by White Coat not only delivers an excellent tasting product, but one that delivers instant results as well. When mixed together they form a fine product that will brighten your smile and stop halitosis in its tracks with only one use. This is a terrific alternative to both timely and costly white strips that can break the bank after a few purchases. Of all the activated charcoal powders that we have reviewed, this is by and far one of the better values. The 34g jar should last you, on average, about 2 to 3 months. Given it’s sub $20 price tag, it really makes this product a steal. Much like the Active Wow charcoal powder, this product has a very mild taste. Therefore if you are put off by the strong flavors in your standard mass-market toothpaste, you will love the subtlety that White Coat delivers. Like all activated charcoal powders, application of the White Coat tooth powder can be a bit tricky. Given that this charcoal powder has been finely ground, you will want to be careful when handling the jar. To get your toothbrush loaded with this product, simply moisten the bristles under the water, shake excess water, and then dip about halfway into the powder (remember, a little goes a long way). Overall, White Coat delivers a fine product that competes head-to-head with others in its class. It’s most definitely worthy of your purchase!